The Trigono Cocktail Table is made from galvanized iron. 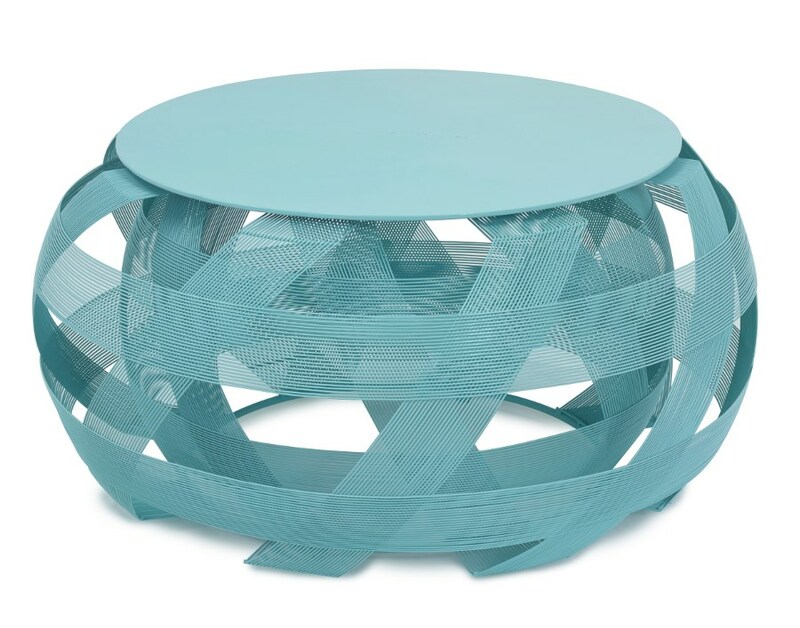 With a solid top and woven sides the table is unique, practical yet good-looking. It can be used indoors or outside under cover. Made in the Philippines, Trigono is stocked in three colors: white, black and aqua. Custom colors can be obtained as well.